I traced the bird's wings and cut them out of some scrapbook paper. I cut little strips for the bird's tags. 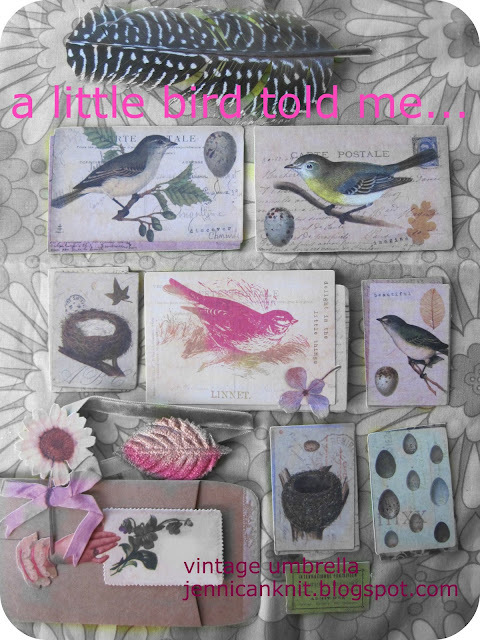 and they were done... cute little birds, ready for a spring centerpiece or mantle! Way too adorable! What a great little "spruce up!" As if they weren't cute enough, you managed to make them even cuter! Super idea and clever too. I love JoAnn's and can spend a lot of time and money in there.